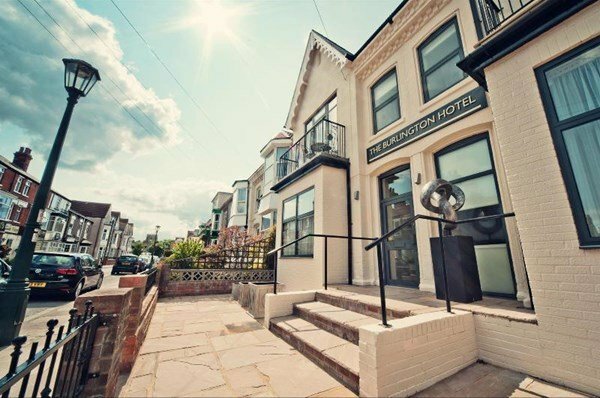 We have concentrated on stylish, comfortable, state of the art design, and offer excellent standards of accommodation and value from just £55 per night including VAT and complimentary continental breakfast. We have 13 rooms; 4 executive, two of which have sea views, 3 superior doubles, 4 standard doubles and 2 singles all en-suite, with free hi speed wi fi and flat screen TV, most with DVD players, daily maid service, complimentary continental breakfast in comfortable breakfast / lounge room. Secure key fob entry with CCTV monitoring. 5 free off road car park space on first come first served basis.